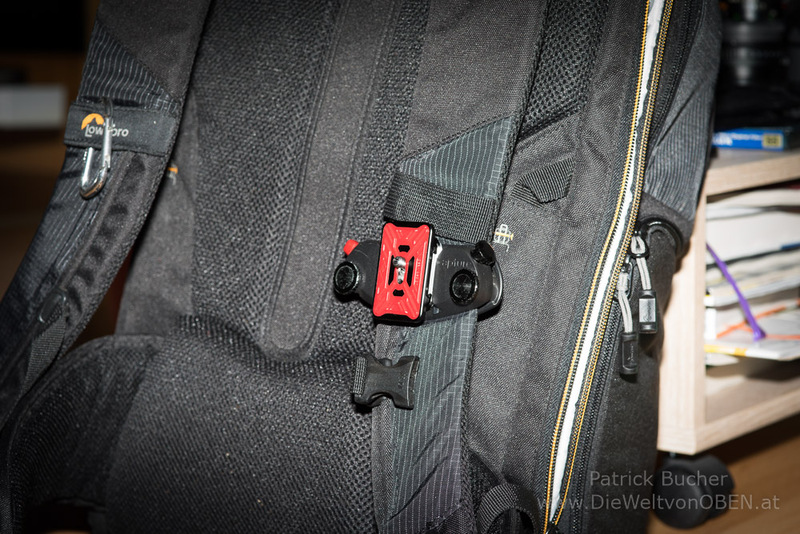 This article is a usability review about the Peak Design Camera Clip, v2.0 (CP-2), which is a handy accessory to carry your camera on the strap or holder of your backpack. I have been travelling through Russia for 25 days in a row, and visiting 5 big cities throughout the way of the transsiberian railway, and one small village at the lake Baikal. Beside enjoying and getting my mind free for a quite long time, taking photos was a main objective. I am currently working with a Sony Alpha 7R (A7R) (affiliate link to amazon.com) and a wide variety of lenses. During previous travels and sightseeing tours I have always experienced it quite annoying on how or where to carry my camera. Is it around the neck and just ready to shoot, there is usually nothing interesting to take a picture of and it gets painful to the point where I get headache. Is it in my backpack I miss a lot of fantastic shots because I wasn’t confessed at this moment that it is worth to take the camera out. After a while I began to research diverse ways of carrying my camera, like neck holders with a good padding, some sort of side straps as well as hand straps, but I didn’t get necessarily comfortable with it. Though the better neck holder worked longer before getting pain, the camera was still bouncing in front of me. The hand straps were ok but you had it the whole time mounted to your hand, so this can get annoying and you have to be careful not to hit any objects in your way, and the site straps can be annoying as well since it bounces on your hips, but more importantly it is always difficult to work with while wearing a backpack. 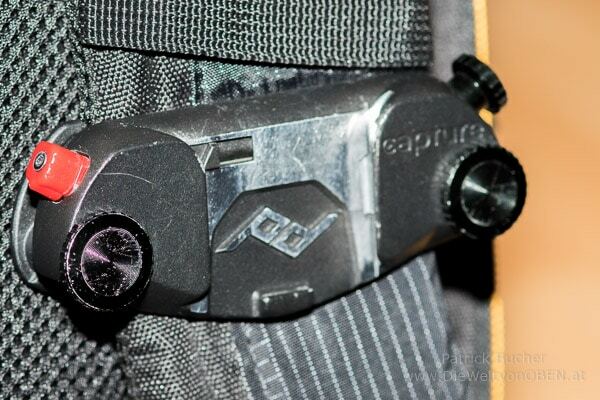 The Camera Clip is mounted directly on the shoulder belt of your rucksack just at the height of your chest. It is mounted with 2 screws which, when tightened properly, can easily carry your camera with even a heavy lens, without problem. It has a similar lock system as a tripod head, and the plate screwed on the camera even fits in most of the Manfrotto Tripods, however this needs to be checked individually. 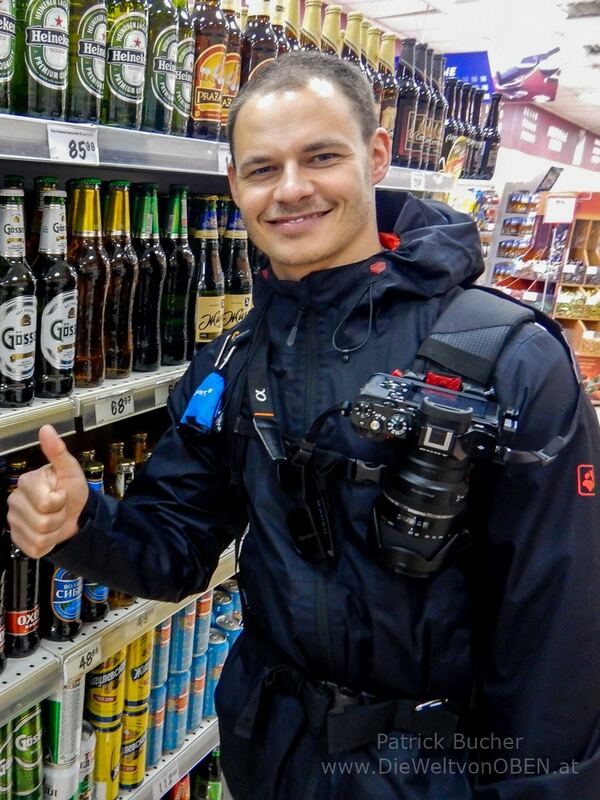 Since it is right in front of your chest, it isn’t blocking any of your (arms) movement, and protects the camera against any obstacles on the side while walking in a city or hiking through a forest. Since it is in front of your backpack, it also supports the weight balance, meaning you have less weight on your back but your cameras weight in front of you. Once used to it, it feels very solid and robust. The camera gets clipped in with the plate and you can hear a “click”, however to be on the safe side I usually also put the neck holder around my neck, just hanging loose. Also in cases you do not clip it to your camera holder, you can still have it bouncing in front of you for a few minutes and have the finger at the trigger. Overall it is a perfect fit for me and meets my requirements: easy to sue, not disturbing any movements and ready to shoot within a second. It is a total recommendation! This product was bought by myself and neither the clip nor this review is supported or sponsored by the producer, PeakDesign. This blog as well as the products used, if not stated differently, is privately paid and is supported through advertisements or amazon purchases via this blog only. 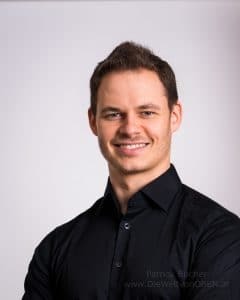 If you like the article and are interested in getting such a product for you I would be happy if you purchase it via an amazon link of this site. With that you help me to keeping this blog online and updated! A visit to Bled, again – wonderful Winter experience!